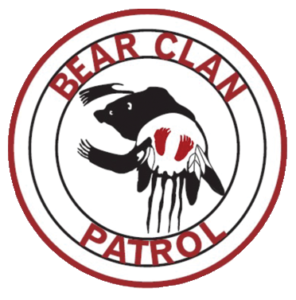 The Bear Clan is changing minds, changing people, and changing the world for the better. We hope you’ll join us to learn more about it. 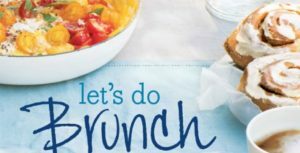 Click here for details about our guest speaker, and the location, food and drink, and parking. Presented by members of the Dying with Dignity Winnipeg Chapter. Next workshop will be held Saturday, April 13 at 10:30 AM at the Henderson Library. Click here for details and to register. Learning about the vital work done by the Bear Clan Patrol is what motivated us to ask their executive director James Favel to address our group. We’ll be collecting funds at our April meeting to support their efforts. The Patrol works at preventing crime and providing a sense of safety, solidarity and belonging to the communities they serve. The concept behind their strategy is simple – community people working with the community to provide personal security in the inner city in a non-threatening, non-violent, non-judgmental and supportive way. Donations for the Charity of the Month will be collected at the monthly meeting. Tax receipts are available for donations over $10. If you would like to donate but cannot attend the meeting, you can do so via the ‘Donate’ button on our website. Just include a note letting us know that the money is for the charity. At the end of February, I met with the board members of Humanist Canada to help facilitate their efforts at strategic planning. They recognized that they needed to decide on what their priorities will be for the near future. They decided on several goals, and the steps to get there. I personally haven’t had much contact with Humanist Canada. I just remember many years back it being a complicated thing – mainly regarding membership fees. I will admit, they have a bit of work to do, but this is a new board, new leadership, and they have some clear ideas on how to improve and grow the organization. For one thing, they are the only national humanist organization in Canada, and the longest lived. 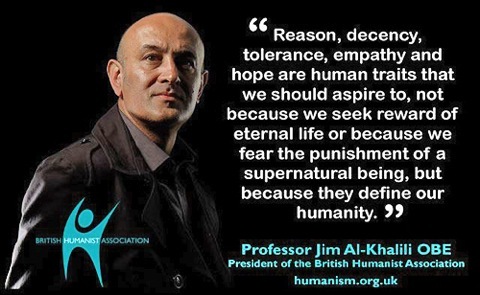 Humanist Canada has been around for 50 years. As the national organization, they can organize campaigns and spread the word about important issues. 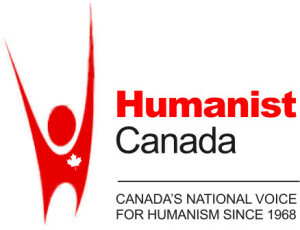 The main activity of Humanist Canada is their Officiant program. 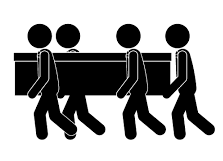 They have licensed humanist officiants who perform weddings, funerals, and baby namings. However, this program is limited to Ontario, because Ontario is the only province in Canada which recognizes marriages performed by Humanist officiants. In other provinces, marriages must either be solemnized by a religious representative or a government official (either a marriage commissioner, justice of the peace or similar). In British Columbia and Quebec, governments have refused to recognize Humanist officiants. In other provinces, the bureaucracy simply may have not been asked to answer the question yet. The current HC board would like to start increasing their membership and re-vamping their affiliate and chapter program. Established groups like HAAM could become affiliates of HC while maintaining their own autonomy and their own websites. Smaller, less formal groups could become chapters and have their own web page on the HC site. 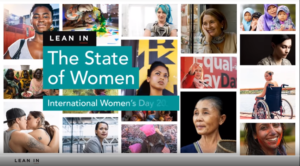 Paying a membership fee to be an affiliate of HC would give HAAM access to other resources, such as a webinar series that HC is hoping to launch this year. And that’s one of the issues being debated. What would the benefits be to local groups for becoming HC affiliates? Would affiliated groups get discounts for the webinars, or some number free? Humanist Canada is still deciding. But I would like to recommend that HAAM consider joining HC as an affiliate. Past president Jeff Olsson has been cleaning house again and donating his books to HAAM, and as a result, our library continues to grow. His most recent donation includes four books by Carl Sagan, so if you’re a fan, you’re in luck! 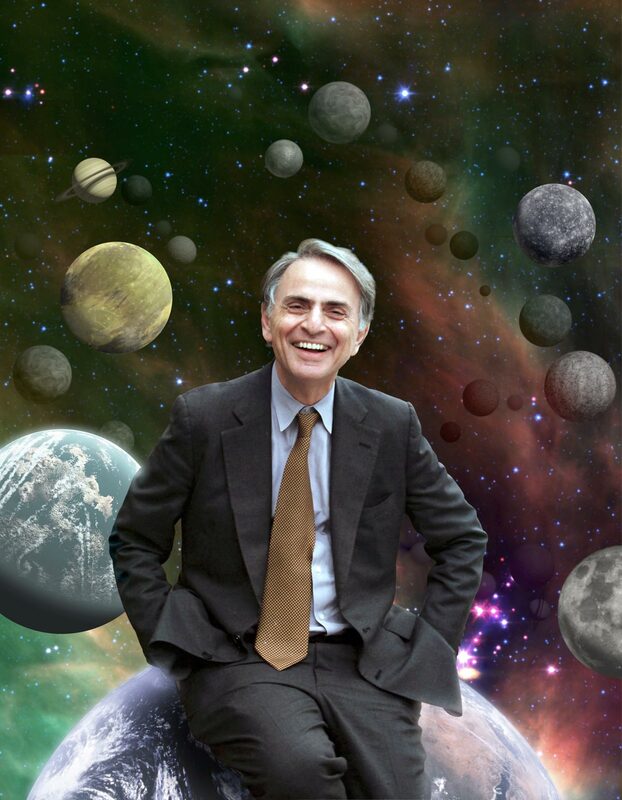 Carl Sagan was an American astronomer and astrophysicist best-known for popularizing science. He published over 600 scientific papers and 20 books, created the hit TV series Cosmos, and wrote the science fiction novel Contact (on which the movie is based). Broca’s Brain: Reflections on the Romance of Science – A collection of articles that Sagan originally wrote way back in the ‘70s. Topics include intelligent robots, the discovery of extraterrestrial life, pseudo-science, kooks and charlatans, and spirituality. Comet – everything you ever wanted to know about comets, beautifully illustrated, and written in language a non-scientist can understand. 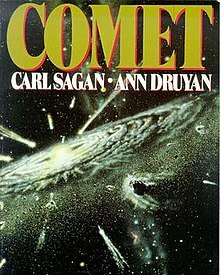 Cosmic Connection: An Extraterrestrial Perspective – Sagan’s views about the possibility of life on other planets. He was optimistic that there may be thousands of advanced civilizations in our galaxy, and billions of galaxies. Varieties of Scientific Experience: A Personal View of the Search for God – Published posthumously, this is the text of a series of lectures originally given in the ‘80s. This book has been described as a way to balance scientific reality and the natural spiritualism of humankind. Add these titles to the six books by Sagan that we already had in our library (Billions and Billions, Cosmos, Demon-Haunted World, Dragons of Eden, Pale Blue Dot, and Shadows of Forgotten Ancestors), and we now have an impressive collection of his work. There are now over 250 items in our HAAM library. You can see the complete list of 20 recent additions or browse the entire collection on our Library page. Have you got any great books at home that other HAAM members might be interested in? We will accept gladly accept gently used books for our library. Just bring them to any meeting or event. 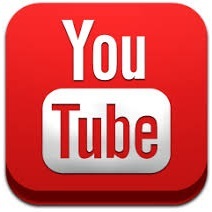 Visit the Library page to request to borrow a book or DVD, and we will make arrangements to get it to you. Students! 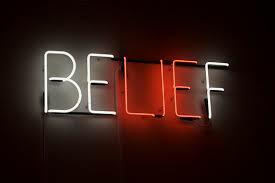 Write an essay on any topic related to Humanism that would be of interest. 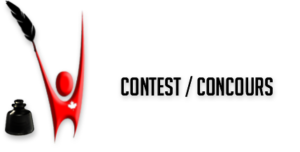 If you’re not a student, tell your favorite student about this contest! The entry deadline has been extended to May 15th. See Humanist Canada for details and rules. I am extremely disappointed in the Free Press for pandering to local faith groups in order to continue and expand religious journalism. First, why faith groups? They don’t represent a sizable proportion of the population. What about the quarter of Winnipeggers who have no religious affiliation? Why isn’t their voice being heard? We may have freedom of religion in our country, but that also means freedom from religion as well. I, personally, do not read the Free Press to learn which congregations did what. Considering that religious reporting is largely navel-gazing, I don’t see how this is a step forward in reporting. Claiming “a continuous exchange of ideas and a profitable debate based on real and correctly reported facts”, is the complete antithesis of what religion provides. Honestly, religion is based on our early fears and ignorance. For example, when early people didn’t know what the lights in the sky were, or why people sometimes just dropped dead, they assumed an agency, which became myth, and then god. We didn’t have an answer for many things, so god did it. But we are now light years beyond that type of thinking. Actively relying on religion to find answers to today’s problems doesn’t go any farther than “thoughts and prayers”, and that, sadly, means nothing. Instead, we should see far more reporting on skepticism, scientific issues and other real, fact-based topics. Too much space is already devoted to topics that are dubiously supernatural – “woo-woo” if you will – and belong firmly in our superstitious past (horoscopes, anyone?). Please be assured that I mean no offense to believers. I know that many faith groups do tremendous service to our society, and those volunteers work very hard. But that’s the point. It’s people helping other people – no god is required. Lastly, it breaks my heart because I’ve been a Winnipeg Free Press since the death of the Tribune back in the 80’s, but I’m seriously considering cancelling my subscription. Did you miss the March meeting?